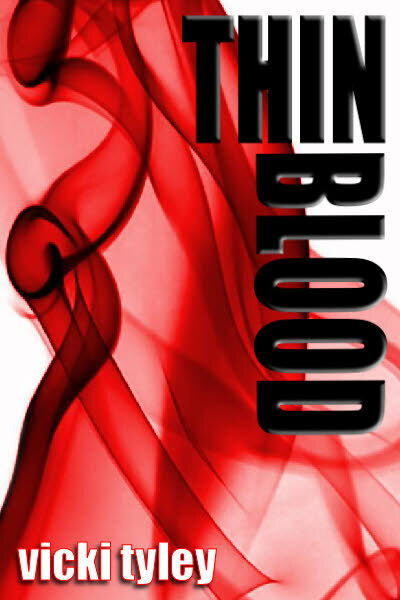 Thin Blood by Vicki Tyley. I heard of this book when the author kindly brought it to everyone’s attention at mobileread.com. Available for $3.97 at Smashwords.com. Story score: 4.5/5. This is one novel I grudged putting down, even to sleep or get on with household chores. The characters are believable, especially the protagonist, Jacinta Deller. She’s a woman whose drive to succeed in the workplace sometimes overshadows her personal relationships, but through her struggles she’s never trite or helpless. It would be fabulous if this were a series, so we could find out more about how things turn out with Jacinta and her stepbrother. Editing score: 5/5. Thin Blood looks great and reads great. Word choice is varied and sentence and paragraph structures are interesting. Nothing to complain about! Style score: 5/5. It’s written in a style that makes you forget you’re reading at all. The story flows so easily that before you know what’s happened, fifty pages are gone. It practically reads itself. The author is brilliant at giving exactly enough detail, for example: time drags when Jacinta is home alone at night and hearing noises outside (as it should), but the details of Jacinta’s work day that don’t have much of a bearing on the story are finished in one paragraph. Overall Thin Blood moves at a nice canter from person to person and incident to incident. The Big Picture: This comes highly recommended from me. If you like murder mysteries, female sleuths, or both, this is a must-read. I thought I had the mystery solved until the very end, but I was wrong. I will definitely be telling my friends about this book. Visit the author’s website at vickityley.com to receive a Smashwords coupon code to download this book free! Good through February 28, 2010.